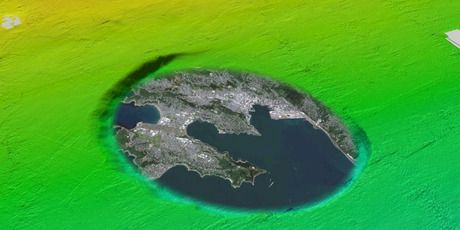 The presence of a massive crater in the Falklands was first proposed by Michael Rampino, a professor in New York University, in 1992 after he noticed similarities with the Chicxulub crater in Mexico—the asteroid that created this crater is thought to have played a major role in the extinction of the dinosaurs 66 million years ago. But after a brief report at the Falklands site, very little research was carried out. Now, a team of scientists—including Rampino—have returned to the area to perform an “exhaustive search for additional new geophysical information” that would indicate the presence of an impact crater. 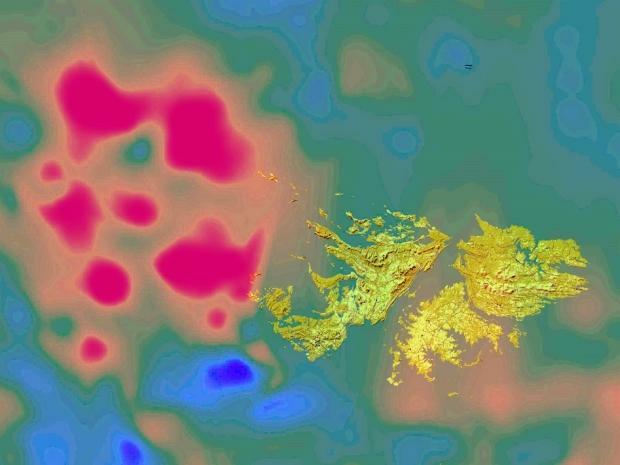 The islands are shown in yellow, while the regions of red show a notable increase in Earth's magnetism, characteristic of an impact. 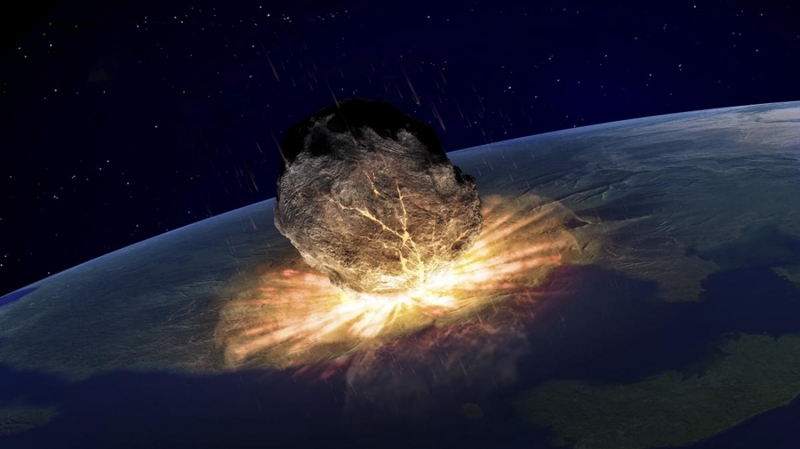 Researchers say the crater appears to date to the Late Paleozoic Era—around the same time as the Permian mass extinction event also known as the Great Dying. They believe the crater dates to between 270 and 250 million years ago, but say further investigations are needed to confirm this. But not everyone is convinced of the link. Michael Benton, a paleontologist from the University of Bristol, told Newsweek in an email interview that while the discovery of an impact basin is interesting, it is not necessarily related to the Great Dying. 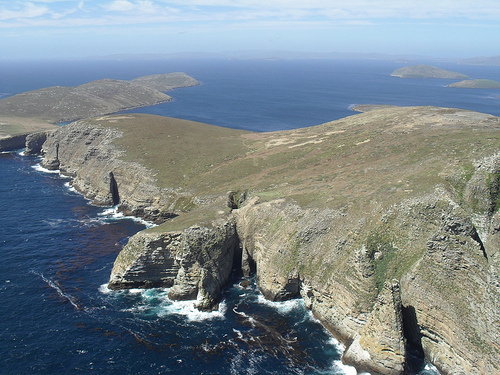 ‘There have been several suggestions that the end-Permian mass extinction was linked to impact, including possible craters off Australia, and this one in the South Atlantic,” he says. 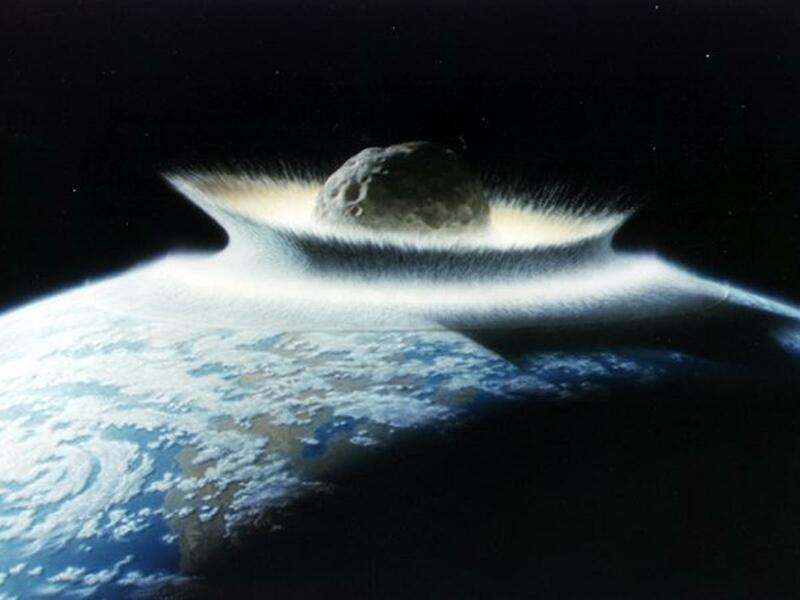 “The link of the current crater to the extinction is hugely tenuous—it could be the cause, but evidence is not presented for that idea.